FSWizard for Android Public Pre-release! 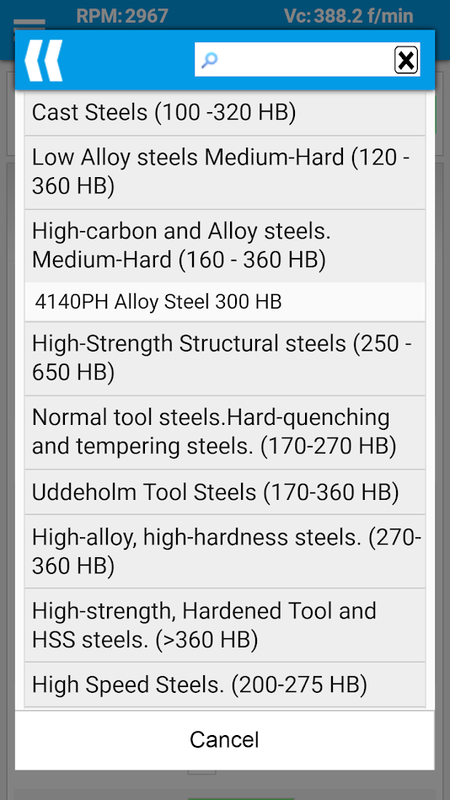 I have just released FSWizard for android to public beta testing. Sign up and run it through its paces! When asked by a prospective customer which License Type a he/she should buy, I always say "If you have Internet connection, buy the Floating License". The advantage of Floating License for this is very simple: it offers great flexibility. Flexibility in where to use the software: You can install and register computers all on your own without needing to contact support. Floating License can be used on multiple computers. And depending on how many seats are in the license, will determine how many HSMAdvisor instances can run at the same time. License owner can set up a separate License Access password. This allows organisations to give access to their HSMAdvisor seats without compromising their License Accounts. Second improvement is the "Max Seat Parking Period" option that can be used to make sure users do not occupy seats for periods of time, longer than allowed by the owner. These options were introduced to make it easy for College professors to issue temporary seats to their students. Just click on the "Set License Password" button after logging in to your license. I personally would like to wish every one of my supporters Merry Christmas and a happy New Year! I like to consider every sold seat a start of new partnership with the goal of making Your work easier and more productive every day. New year will bring lots of very cool developments and I am glad, that since all of the licenses we sell never expire, every single on of my customers will be able to enjoy the latest improvements. Cheers and Have Great Holidays! I came across a very educational post on Practical Machinist. The topic-starter used over-aggressive speeds and feeds for his tiny BT30-taper machine and the retention knob (a.k.a Pull Stud) snapped causing the holder to drop lower, disengage from drive lugs and mess up the spindle bore in the process. This whole article is to remind everyone the importance of proper tool holder and retention knob maintenance. Retention knobs (according to HAAS) have service life of about 6000-8000 hours. That means that if a tool holder is used 3 hours a day, you should replace the knob after 8 years in service. For smaller BT30 knobs, you should probably replace them every 4 years. Retention knobs should be lightly oiled or greased (if TSC is used) once a month to lubricate the draw bar. There should be no visible damage or rust on the knobs. 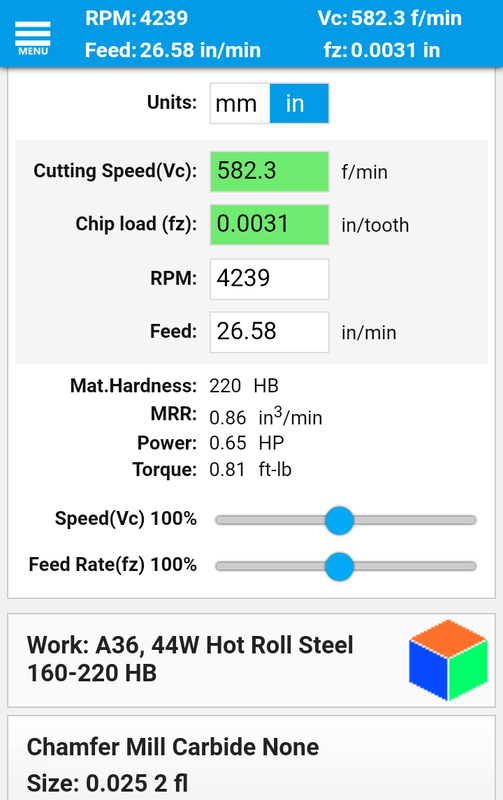 Do not exceed the maximum cutting force recommended by your machine manufacturer. Some of those high-helix end mills create large down-force that could in certain cases cause the knob to snap! Also retention knobs should be torqued to manufacturer specs and the tightness should be regularly checked. 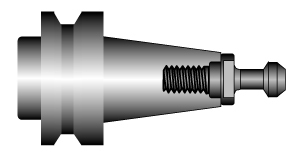 Overtightened knobs may lead to taper of the tool deforming and causing uneven contact with the spindle bore. Keep Tool Holders clean. Especially the taper part that is matching to the spindle bore. Wipe them with a clean cloth. Do not use sand paper to clean tool holders! Soft Scotch-brite is acceptable to clean very dirty ones. Repair dings and notches on the taper. Even an aluminum chip will cause a ding, that will create a high spot around it. Replace worn-out tool holders with new ones. It is also a good idea to re-grind the spindle as well when replacing the tool holders - there are lot's of services that do that for very reasonable price. Like wise when a new machine is purchased, only new holders and retention knobs should be used. Using old worn out holders on a new spindle bore will lead to its premature wear and even damage. Those are all the things I could think of at the moment. 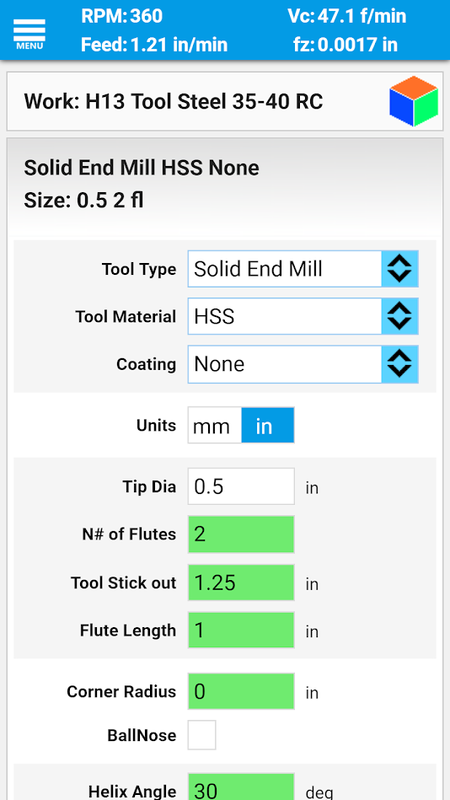 3D Prining is about to to take over traditional machining the same way CNC Machining took over manual machining. Eventually 3D printing will replace casting too. Since 3D Printing does not require complicated setup and programming, this in turn will lead to massive loss of machining-related jobs. Read more to see if this is true!